Army Lt. Gen. James Richardson, deputy commander of Army Futures Command, told the Senate Armed Services Committee last week that the ENVG-B has taken soldiers "from marksman to expert" while trying it out on the range. He also said the goggles are "better than anything I've experienced in my Army career." But the ENVG-B's moment in the sun might be short-lived, as it could have a competitor for soldiers' attention as soon as 2022. Microsoft is hard at work — to the dismay of some of its employees — developing the Integrated Visual Augmentation System (IVAS), a military version of its HoloLens augmented reality system. IVAS is also expected to have night and thermal vision capabilities, as well as data collection capabilities to improve marksmanship and monitor soldiers' heart rates. 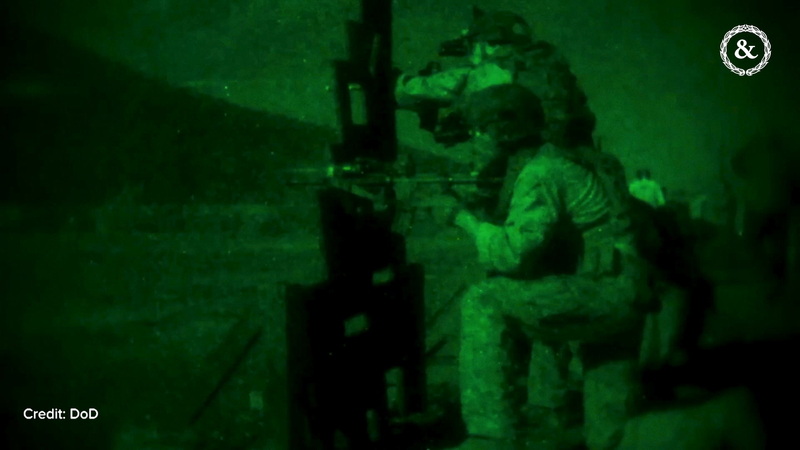 It's "almost like a real-life game of 'Call of Duty,'" according to CNBC, who got an exclusive look at the technology. Army Under Secretary Ryan McCarthy told CNBC that IVAS is "a game changer on the battlefield," and that adversaries like Russia and China "will not want to engage us." Alton Stewart, a spokesman for PEO Soldier, told Task & Purpose that when IVAS is made available, soldiers will choose which one they want to use. The ENVG-B will increase "lethality, mobility, and greater situational awareness ... with an improved capability to visualize terrain features, obstacles," and more, Stewart said. They also get rid of the green tint in current night vision goggles, the Army said, by using white phosphorous tubes instead of green. As the Army Times reports, about 10,000 close combat soldiers are expected to get the ENGV-B over the next couple of years. But the IVAS will "incorporate ENGV-Bs capabilities in a new ... see-through display, and will also include a synthetic training environment capability allowing the Soldier to fight 25 bloodless battles before actually going into combat," Stewart explained to Task & Purpose. May the best technology win.